An automatically updated situational picture, assessed by stakeholders, covering competitors, markets, financial data and personnel, can improve and speed up evaluation of your strategy. Identify, analyse and create ideas. Events don’t necessarily follow an annual schedule. Benefit from continual and living analyses, and improve understanding and intuition with well-known strategy tools. With a visual and participatory structural plan and plan of action, you can ensure a connection between strategic goals and operational actions. You can put a stop to time-consuming browsing and let automatic data retrieval take care of monitoring new market events. 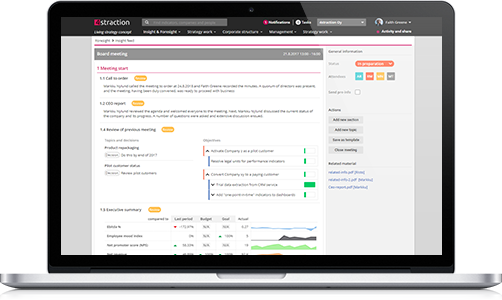 Monitor, comment, classify and recommend news feeds with the service’s comprehensive range of features. The Market Watch features allow you to easily select companies to follow and their registered websites. Furthermore, your situational picture can include feeds with information concerning operators’ financial situations, campaigns, product releases, patents, industry news etc. Efficiently organise timed or ad hoc queries to different stakeholders to supplement information, analyses and the current situation. 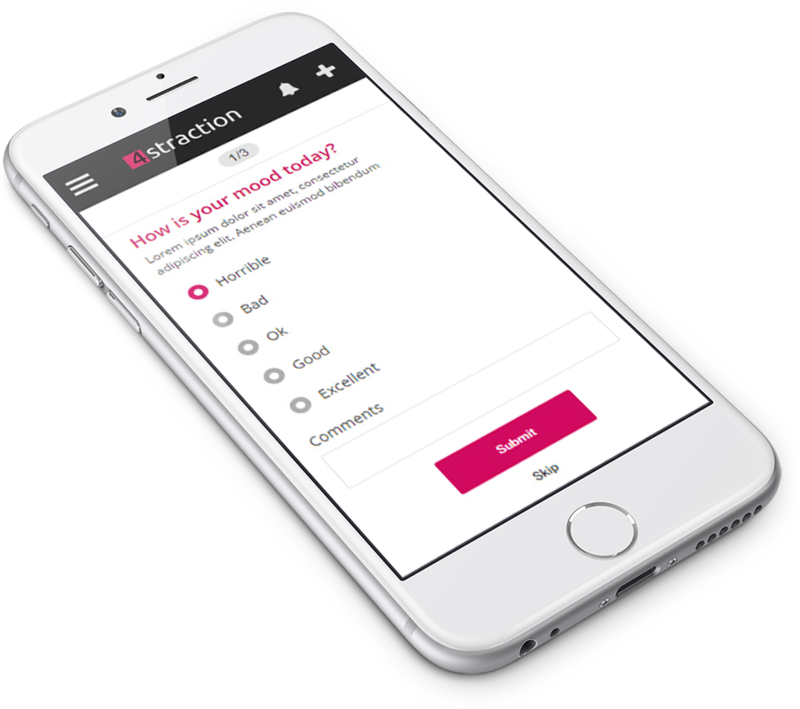 Poll settings allow for the continuous collection of clear and high-quality additional information on topics such as personnel, customers, indicators, comparisons, actions and meetings, with the results automatically updating the situational picture. Replace in-memory email and excel feeds with a handy poll query. The service’s comprehensive management of indicators and relevant figures ensure that goals have clear indicators and are monitored in a timely fashion. You can create rules to calculate indicators and connect them to different levels of your business and, if necessary, you can manage summaries that cross company and organisational boundaries using the Business Design features. The interface feature enables you to import information automatically from other systems and programmes within your company, according to your management needs. Activate and get your organisation involved using communication features to create a situational picture. 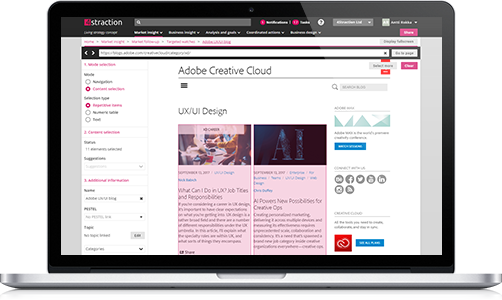 You can create user or group screens that are connected to a comprehensive selection of indicators, sophisticated news feeds, decisions made and tasks. You can immediately see any changes, comparisons and deviations. Screens have drill-through capabilities, enabling you to access further detail and logically explore other issues where necessary. Improve the drawing of conclusions and further their in-depth analysis with live analysis tools from different angles. Traditional, static tools, such as SWOT-TOWS, Pestel, Benchmarking, BCG matrix, Value Chain etc. can become live working spaces, producing future perspectives and realisable ideas for the assessment and implementation of strategies. The user-friendly process allows you to create new initiatives, questions, suggestions for actions, or tasks, wherever the information provides the best conditions for doing so. Establish a continual analysis process and monitor the development of the situation whenever it suits you best. 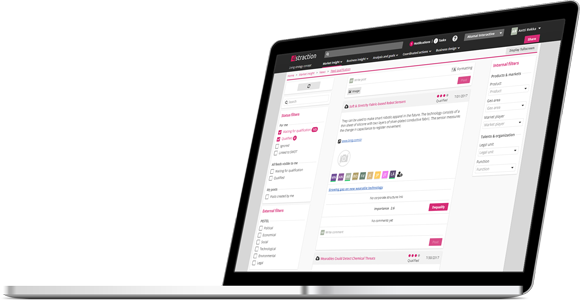 You can flexibly provide your external experts with access to the work processes. 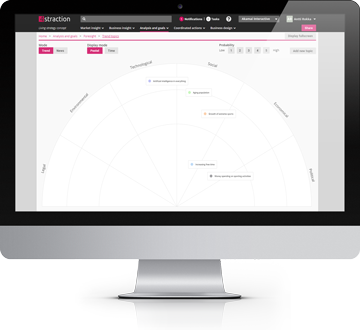 You can efficiently establish your team’s best ideas and consensus using the assessment and communication features. 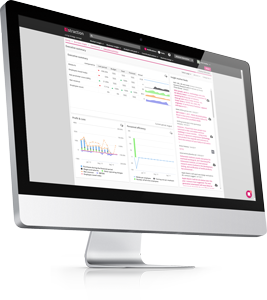 New content changes in market information are automatically collated and displayed on the screens for quick review. The functionalities in the future perspectives screen allow you to characterise observed trends and assumptions with ease, as well as monitor related news flows. Scenario screens enable you to use different angles for content collation. The service’s working spaces provide an excellent platform for the evaluation of strategic changes in working groups. Task management of and responsibility for strategic actions are comprehensively linked to the strategy map. The visual overview allows you to easily dig further into elements forming the background of the strategy, including future prospects, task packages used to implement the strategy, or the situational picture, which shows the progress of the implementation. The review perspective can be easily changed to comply with corporate, operational, market or product structure requirements. Goals and metrics to measure success can be set for strategic functional entities, to help assess any impact on results. 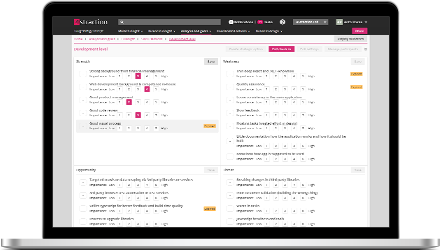 The Agenda tool enables you to improve meeting practices and related procedures concerning the distribution, preparation and follow-up of actions. The service ensures a straight-forward decision-making process for the management team and other teams, whilst still covering and comprehensively recording all the desired phases for those concerned. Combine the dates of decisions with the timeline screens of scoreboards and identify distinctive features of successful decisions. You can define when and how you receive a summary of the progress of issues included in the agenda. The Extended Business Design feature shows the structure of your business and organisation, allowing you to direct the flow of information on the basis of areas of responsibility and expertise. This ensures that the right people are made aware of the information provided, enabling them to enrich the information with comments and evaluations. 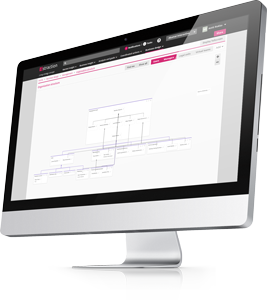 The visual organisation picture makes it easy for personnel to understand responsibilities and the management system, and allows you to manage information access rights at different levels. Personnel can be added to the management system easily and efficiently. Changes in structure are automatically updated in people’s work screens and historical content automatically complies with changes.